Hardware occlusion queries for objects with heavy shaders. 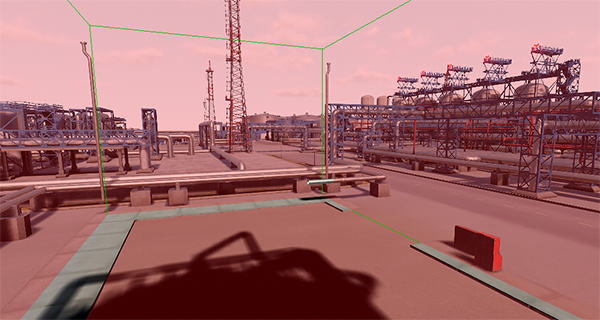 As the object's bounding box is used for occlusion culling (it is checked if the bounding box is visible or not), it is recommended to export objects from 3D computer graphics software in local coordinates to make bounds of the mesh closer to geometry. The type of occluder to be used is defined by geometry to be culled. 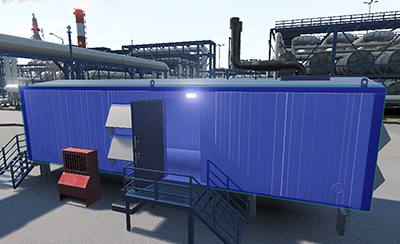 Using occluders to cull large objects with a few surfaces may cause additional performance loss. Moreover, occluders aren't effective in scenes with flat objects, or when a camera looks down on the scene from above. So, when using the occluders, you should take into account peculiarities of objects to be culled. Rendering of occluders is enabled: in the Menu Bar, Rendering -> Occlusion Culling -> Occluders is toggled on. 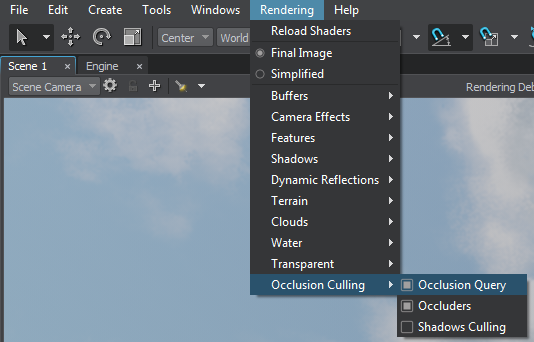 Rendering of shadows from the occluded objects is disabled: in the Menu Bar, choose Windows -> Settings -> Occlusion Culling and toggle Shadows Culling on. You can leave shadows rendering enabled, if necessary. Usage of occluders is shown in the Content Optimization video tutorial. An occluder is a box-shaped occluder that culls objects' surfaces, bounds of which aren't visible behind it. This is a simpliest type of occluders that should be used together with the box-shaped objects that occlude the other ones. 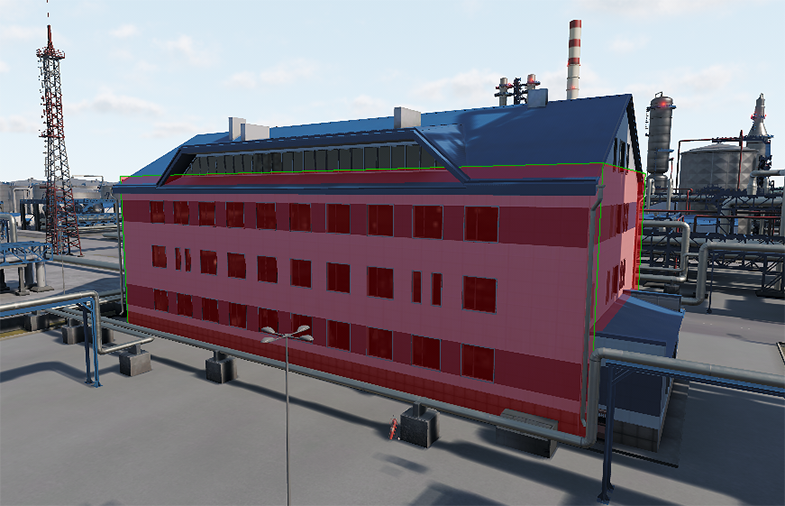 For example, you can add an occluder that coincides bounds of a building to avoid rendering of objects behind this building. In the Menu Bar, choose Create -> Optimization -> Occluder and add the occluder as a child to the target node (that should occlude the other objects). In the Node tab of the Parameters window, set the position of the occluder to the parent one. In the World Occluder tab of the Parameters window, click Edit Size to enable the editing mode for the occluder. Resize it by using the colored rectangles on the occluder box sides, so that it coincides the parent node size. You can also use the Size parameter to set the size along the axes. Specify the Distance between the camera and the occluder, at which the occluder doesn't occlude anything and, therefore, should be disabled to avoid negative impact on the performance. By default, the front faces of the occluder are used to cull objects. However, if the camera is inside the occluder (e.g. 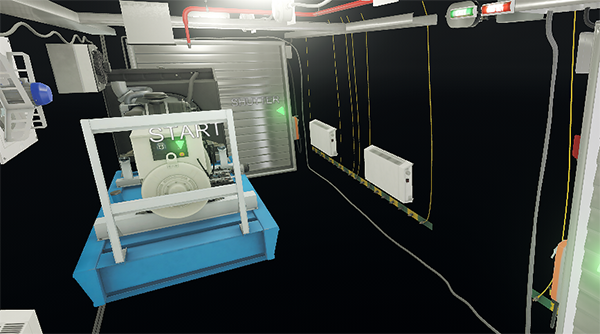 inside the building), occlusion culling won't be performed. To avoid such situation, enable the Back Face parameter in the World Occluder tab of the Parameters window. 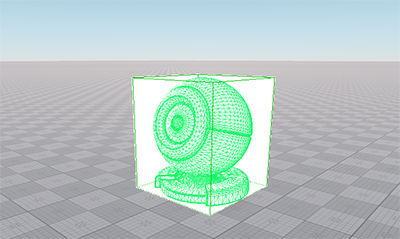 An occluder mesh is based on an arbitrary mesh that culls objects' surfaces, bounds of which aren't visible behind it. It is used together with the geometry that cannot be approximated with a box. Prepare a low-poly mesh to be used for the occluder. It isn't recommended to use the same detailed mesh that is used for the target node (that should occlude the other objects): the mesh for the occluder should be as simple as possible to avoid performance loss. 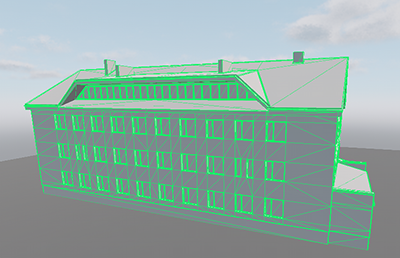 In the Menu Bar, choose Create -> Optimization -> Occluder and specify the prepared mesh. 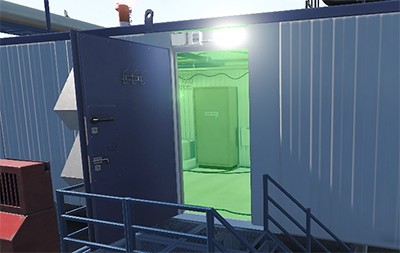 You can load a new mesh for the occluder any time, if necessary. Add the occluder as a child to the target node. A terrain with fluctuating heights. A lot of objects with complex geometry that can be occluded by the terrain geometry. However, such objects shouldn't be too large in order to be successfully culled by the terrain occluder (since if any part of their surface is seen, it cannot be culled). If the terrain is flat: the occluder will decrease the performance as there will be no surfaces to be culled. If the terrain relief is changed in runtime. If the terrain is observed from above (e.g., in case of flight simulators). If the camera can go below in such scenarios, set up the occluder terrain that is enabled/disabled at a certain distance to improve the performance. In the Menu Bar, choose Create -> Optimization -> Occluder Terrain and place it in the center of the terrain. In the World Occluder Terrain tab of the Parameters window, set the Size of the occluder so that it coincides with the the terrain size. The whole terrain should be covered with the occluder. In the Heights parameter of the World Occluder Terrain tab, specify the same height map that was used for the terrain generation, but downscaled for optimization purposes. 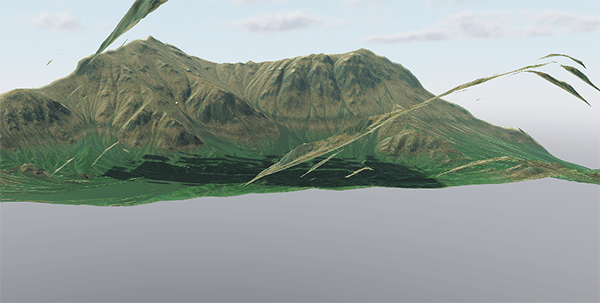 To check if the occluder corresponds to terrain shape, toggle Helpers -> Occluders. Check the result: look through the terrain geometry to the occluded objects and try to toggle the occluders rendering on/off. 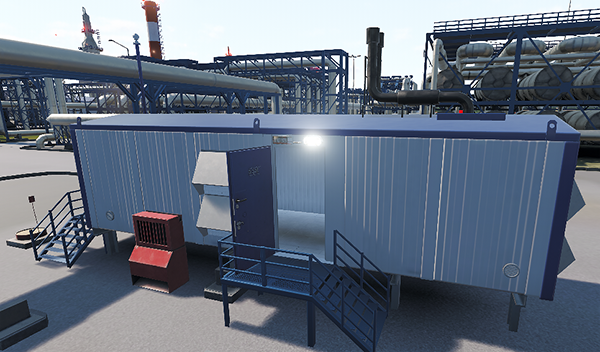 For large indoor scenes with several rooms and passages, sectors and portals should be used to optimize performance. 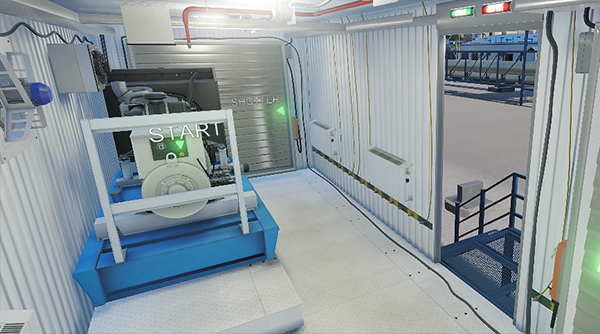 Sectors and portals allow to skip all objects outside the current interior (e.g., outdoor objects, another rooms and environments). Usage of sectors and portals is also shown in the Content Optimization video tutorial. 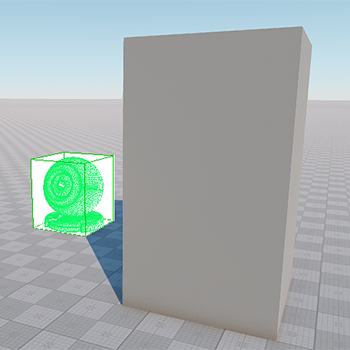 A sector allows culling all objects outside its volume. Sectors are used to split the world into 2 areas: inside and outside it. 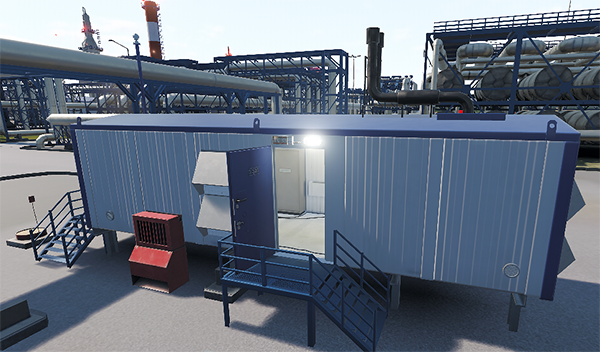 They can significantly improve the performance in the combined scenes with large indoor and outdoor parts: when you are inside some room, objects outside this room aren't rendered. In the Menu Bar, choose Create -> Optimization -> Sector and add the sector to the world. In the World Sector tab of the Parameters window, specify the size of the sector, so that it coincides with the room size. Move the sector to match the position of the room. You can also add the sector node as a child to the room node and set the sector's position to the parent one. In the result, the interior won't be visible, when the camera is outside the room and vice versa. 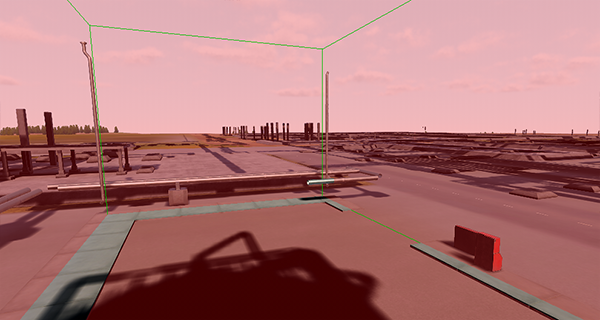 Objects that have the Visibility by Sectors/Portals option toggled off, won't be culled. A portal allows connecting sectors: it provides an opening through which an interior of one sector is visible from another one. Portals haven't any positive impact on the performance: they only make the scene more realistic. In the Menu Bar, choose Create -> Optimization -> Portal and place it on a face of a sector. The portal must become green: it means that the interior of the sector will be visible through the portal. In the World Portal tab of the Parameters window, set the Width and the Height of the portal. Also you can adjust the size in the editing mode that is activated by pressing Edit Size. Another way to cull geometry that is not visible in the camera viewport is to use a hardware occlusion query. It allows skipping rendering of objects, the bounding boxes of which are covered by another solid geometry. In the result, the number of the rendered polygons is reduced and the performance grows. To run the hardware occlusion test for the scene before sending data to the GPU, toggle the Rendering -> Occlusion Culling -> Occlusion Query flag on in the Menu Bar. Culling will be performed for all objects with the Culled by Occlusion Query flag set in the Node tab of the Parameters window. In the Menu Bar, toggle the Rendering -> Occlusion Culling -> Occlusion Query flag on to enable testing for the scene before sending data to the GPU. 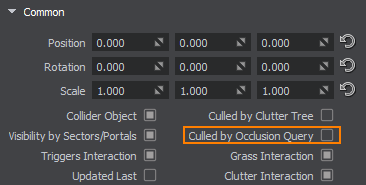 For all objects, that should be culled, enable the Culled by Occlusion Query flag in the Node tab of the Parameters window. Only nodes with this flag set are tested on the hardware occlusion culling. 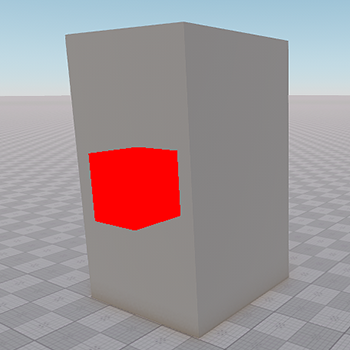 When culling is enabled for the object, an occlusion query box is rendered for it. To visualize such boxes, toggle the Helpers -> Occlusion Queries option on. The occlusion query box coincides with the size of the object's bounding box. When this box is overlapped (i.e. it isn't in the camera viewport), it is lit with red, which means the occlusion test is not passed and the mesh will not be drawn. You can check the effect of this technique by enabling the second wireframe mode to see all the triangles in the scene. Type render_show_triangles 2 in the console and check the way the occluded polygons act. An example of using hardware occlusion queries is also available in the Content Optimization video tutorial.